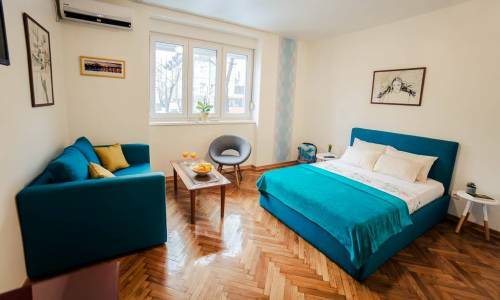 Apartment Kosovska, located in the street of the same name, started out in May 2005. 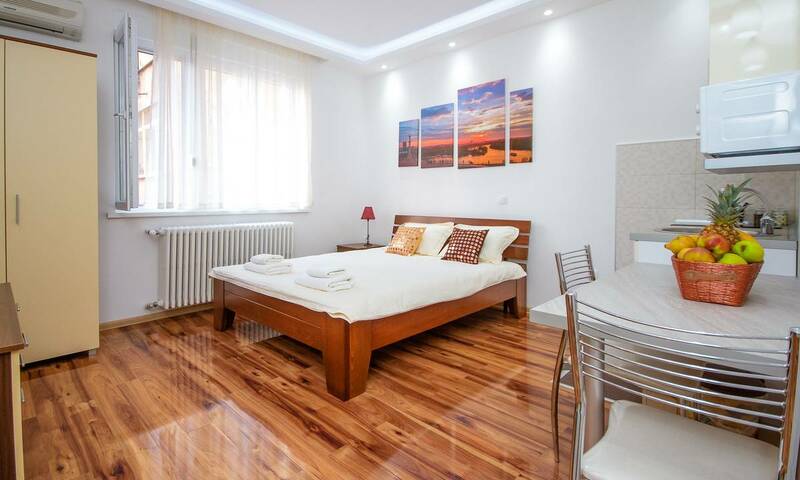 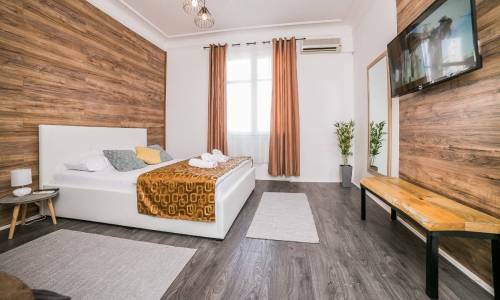 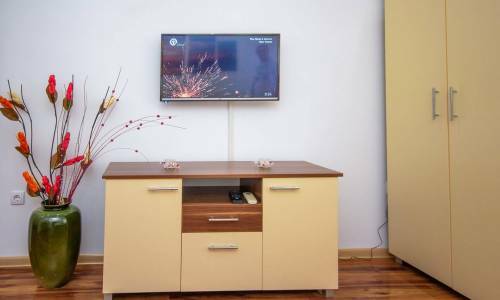 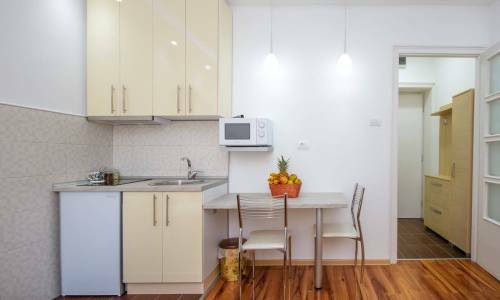 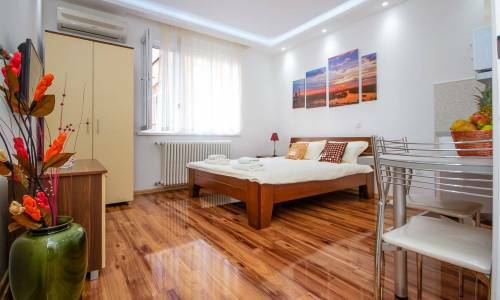 This apartment is brand new, with new furnishings and is in excellent location, very near the Serbian Parliament building. 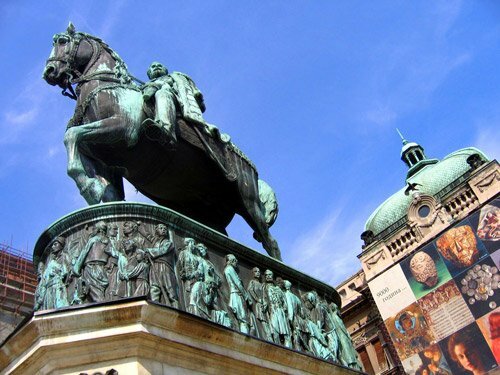 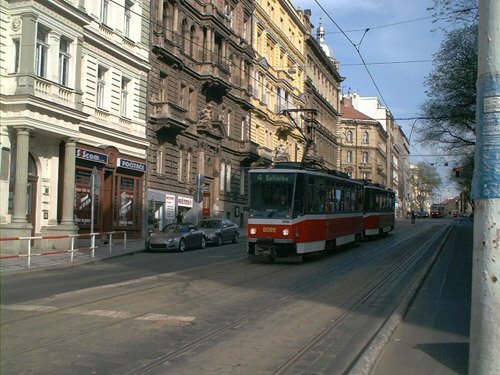 All the main destinations in Belgrade - Knez Mihailova Street, the Republic Square, Terazije street, Kalemegdan Fortress and others - are within a short walking distance. 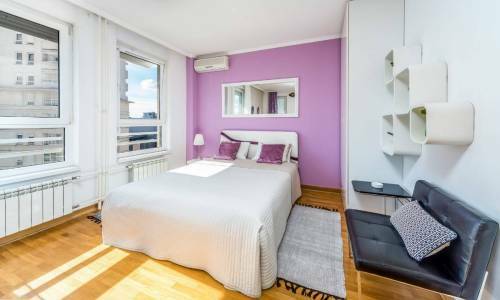 The apartment comes completely new. 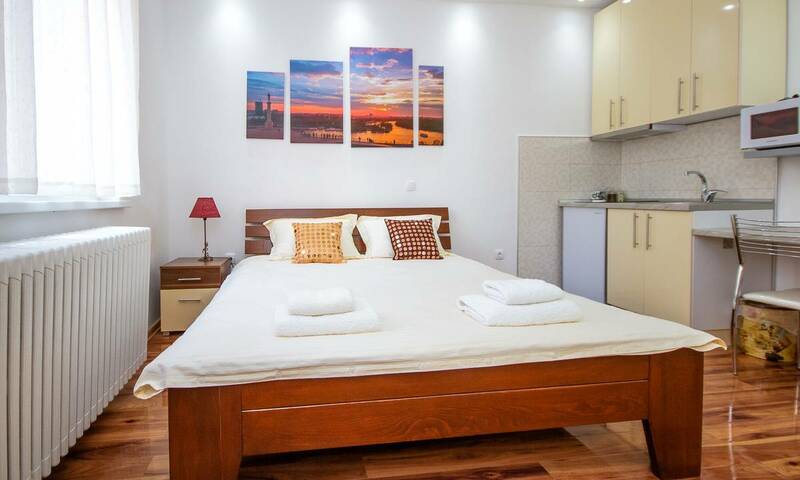 The double bed is in perfect condition and can easily accommodate two persons. 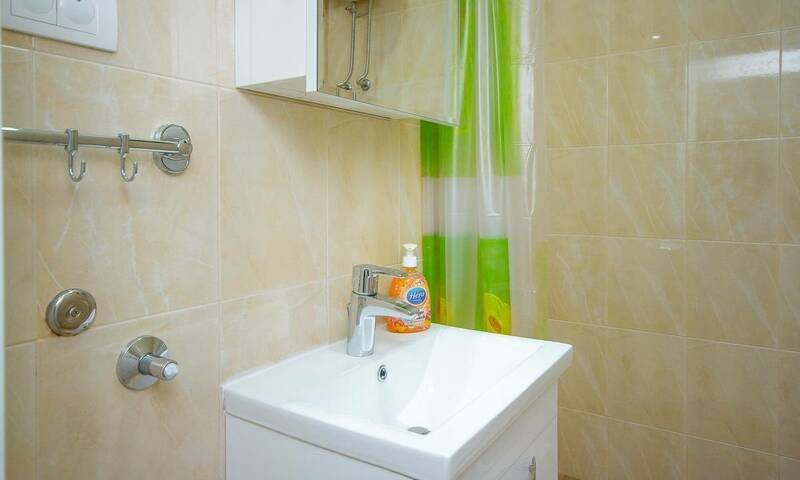 The tea kitchen is fully-equipped and the bathroom is very nice and modern. The apartment is BACK YARD ORIENTED and this peace and quiet is what recommends it most. 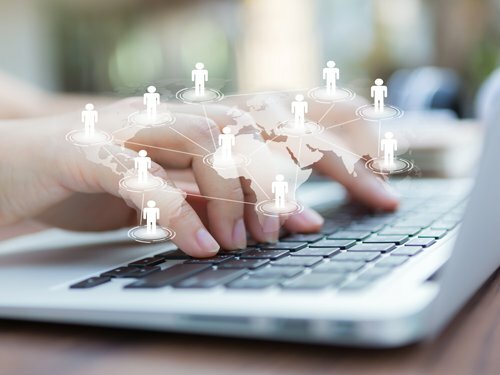 In spite of its central location, you will be able to have a good night's sleep and start your day fresh, both as a tourist visitor and a businessman. 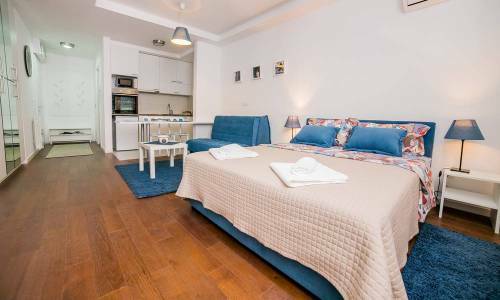 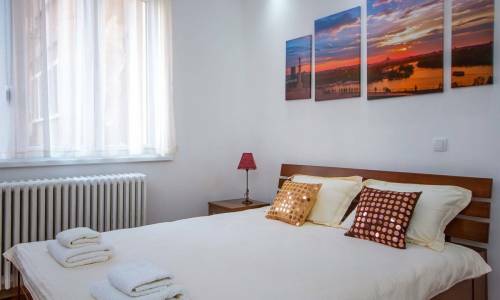 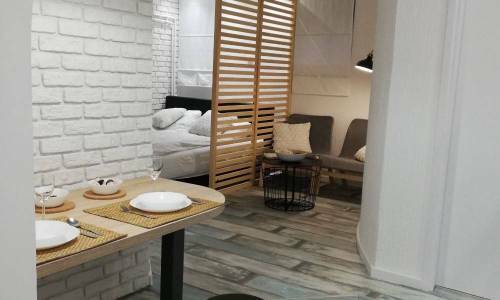 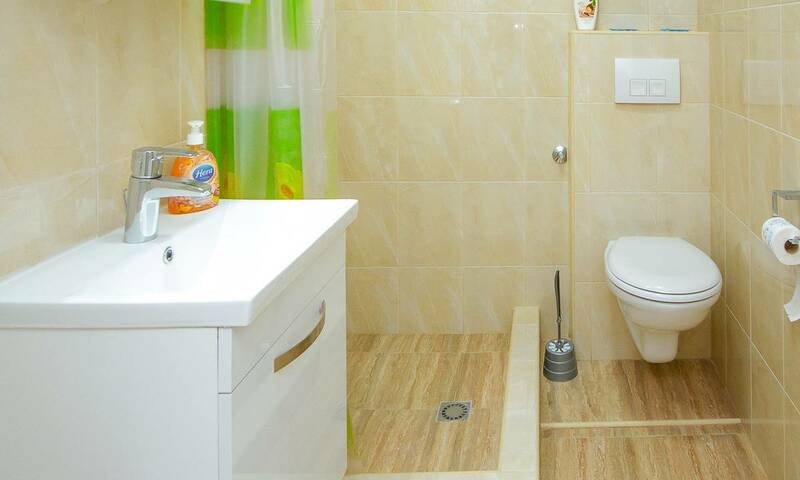 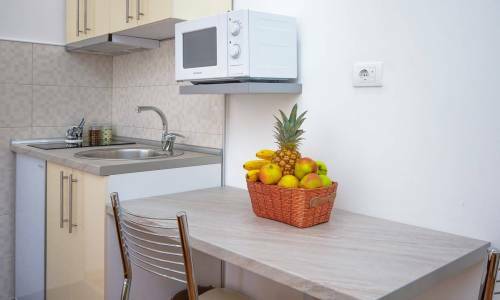 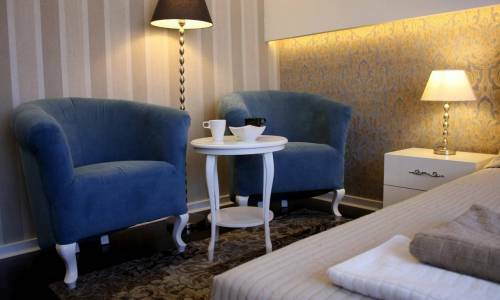 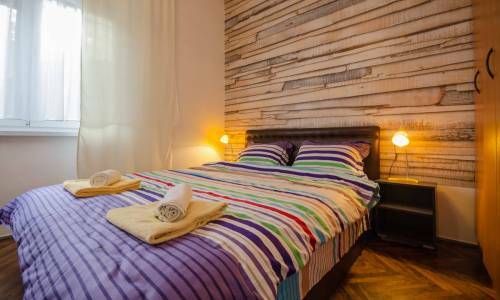 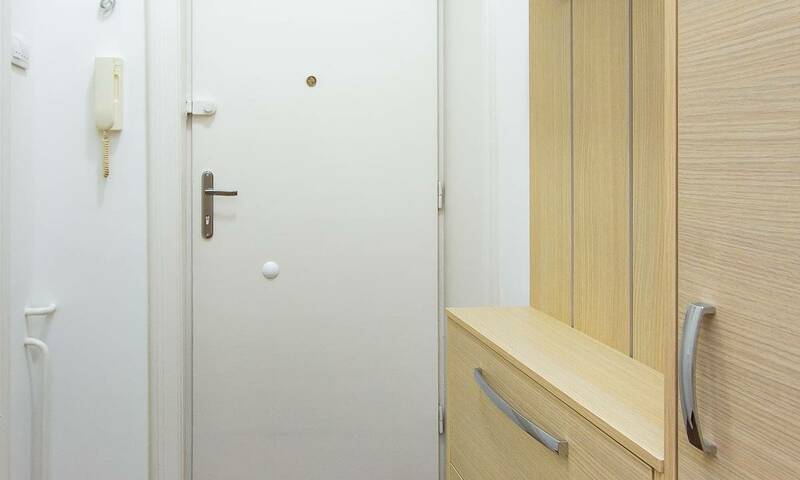 Apartment Kosovska will be a perfect choice for all the guests who appreciate the location and the affordable price for this type of accommodation, which is 35 eur. 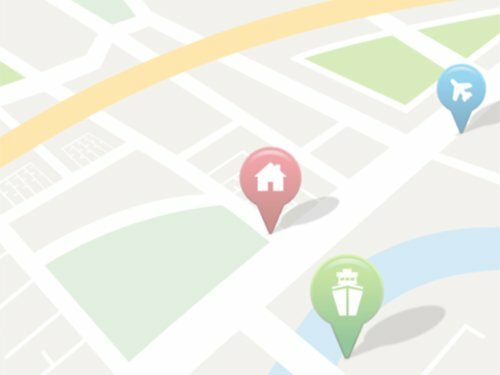 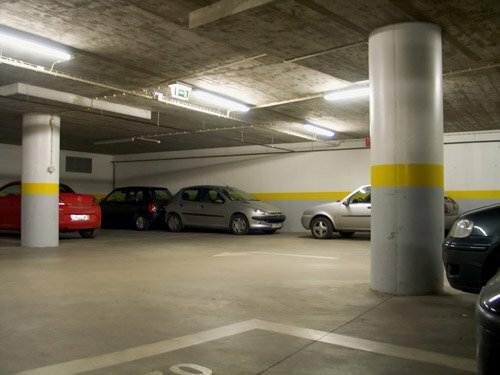 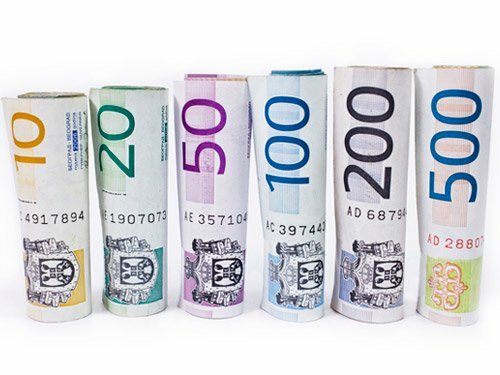 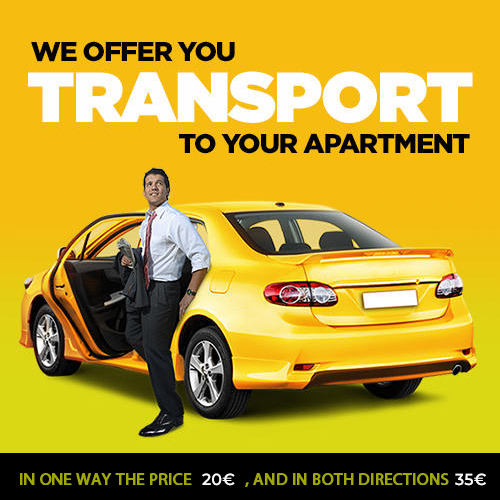 If you're arriving by car, you can park in the neighbouring streets which are covered by parking zones, paid per hour, or inside the public garage Pionirski park, which guarantees for the safety of your car.